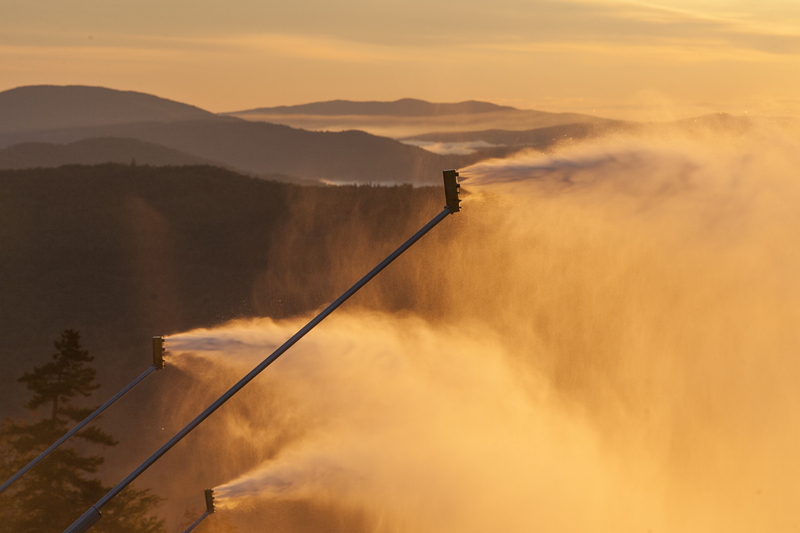 Newry, ME – As temperatures fell in western Maine overnight, the snowmaking team at Sunday River Resort fired up the snowguns at 4 a.m. today for their initial systems test, signaling the beginning of winter 2016-17 just three days after the first day of fall. Sunday River typically opens for skiing and snowboarding on or around Halloween, and this annual test confirms: all systems go. 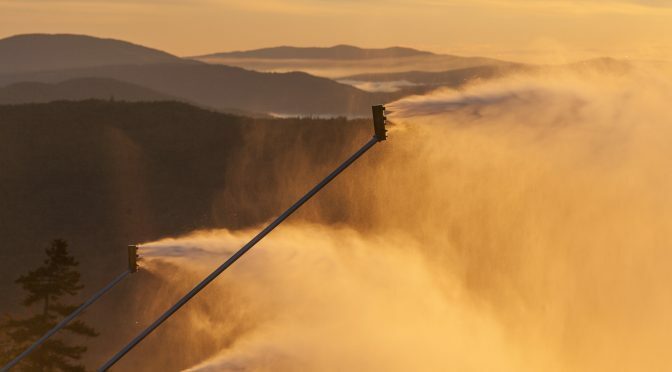 During this morning’s test, snowmakers ran 10 snowguns on the Lower Downdraft ski trail, just below the top terminal of the resort’s Chondola chairlift. With the top terminal of the Locke Mountain Triple still being replaced, this season’s opening plan will include top-to-bottom skiing and snowboarding on Aurora Peak, accessed by the Chondola out of the South Ridge base area. Though the resort has not yet set an official opening date, this test does give Sunday River’s snowmakers the go-ahead to crank the system at full capacity—8,100 gallons of water and 60,000 cubic feet of air per minute, producing four acre feet per hour—at the first sustained cold spell with temperatures between 25-30 degrees overnight.